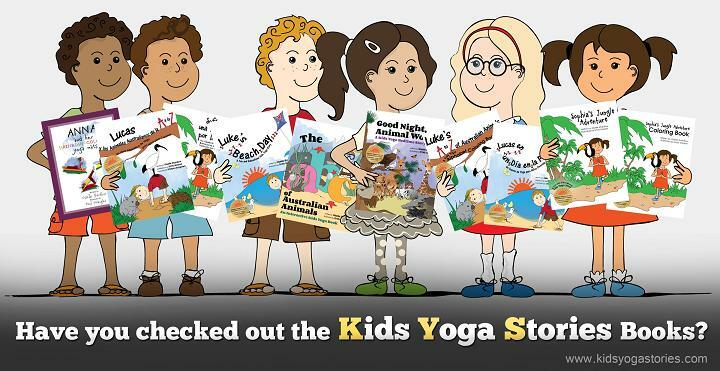 Did you know that children are born practicing yoga poses? It comes naturally to them. 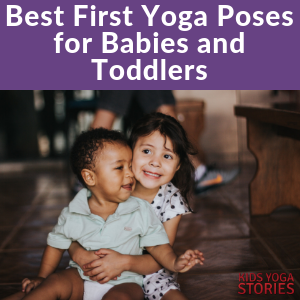 I had seen pictures of yoga poses for babies and toddlers and read articles on the benefits of yoga for infants, but only when I saw my own blossoming yogini did I really understand the impact of yoga on little ones. Beaming with excitement and pride, my daughter used the poses to express herself. When she was a baby, it built her strength and flexibility and allowed her to channel her energy in a positive way. Yoga is an important part of my life, and I have intentionally modeled this healthy lifestyle for my daughter as she grows. As a baby, I had no idea how enthusiastic she would be about yoga and how beneficial it would be for her at such an early age. I created a yoga-friendly environment by encouraging her to express herself through movement and by praising her for her efforts. She learned yoga poses by watching me, reading yoga stories for children, and acting out a variety of her favorite animals. 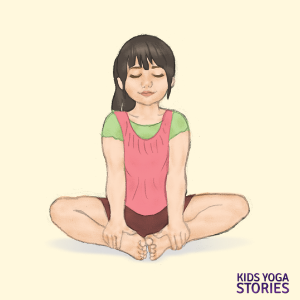 Today, I would love to share my daughter’s first yoga poses to show how easy and fun yoga can be for your young ones. 1. Pretend to be a dog – Practice Downward-Facing Dog Pose. With a little one in tow, a trip to my favorite yoga studio was not quite feasible. So I practiced yoga postures at home. When she was an infant, my daughter watched me doing Sun Salutes in our living room. One morning, she crawled onto my yoga mat and popped up into her version of Downward-Facing Dog Pose underneath me. She lifted her bottom up in the air, her legs were straight, her palms were flat on the ground, and she stayed there for a few moments in an upside down V shape. She was so excited and began to do her dog pose everywhere. As time went on, she gained the strength in her arms to straighten them. She also loved to add a “bow-wow” sound to represent her dog. 2. 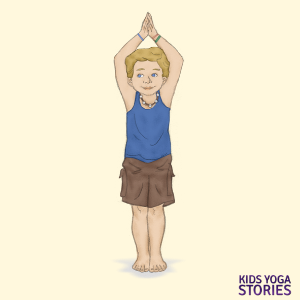 Pretend to be a tree – Practice Tree Pose. Tree Pose was my daughter’s second posture. She would grab my hand, stand on one foot, and “count” to ten in Spanish by nodding her head. Then she would shake out both legs and stand on the opposite foot for another ten counts. When we were walking down the street or at a park, she would point at a tree and stand in Tree Pose. It became her way of expressing language through movement before she could use words. 3. Pretend to be a giraffe – Practice Extended Mountain Pose. My daughter loves animals. When we were at the zoo one day, she pointed to the giraffe’s long neck and stood tall with her arms up over her head and her palms together. There’s something about the giraffe’s long neck that my daughter found very intriguing. After that, every time we found giraffes in books, we stood in a giraffe pose. We clapped our hands above our heads to imitate the giraffe eating leaves from a tall tree. 4. Pretend to be an elephant – Practice Wide-Legged Standing Forward Bend. 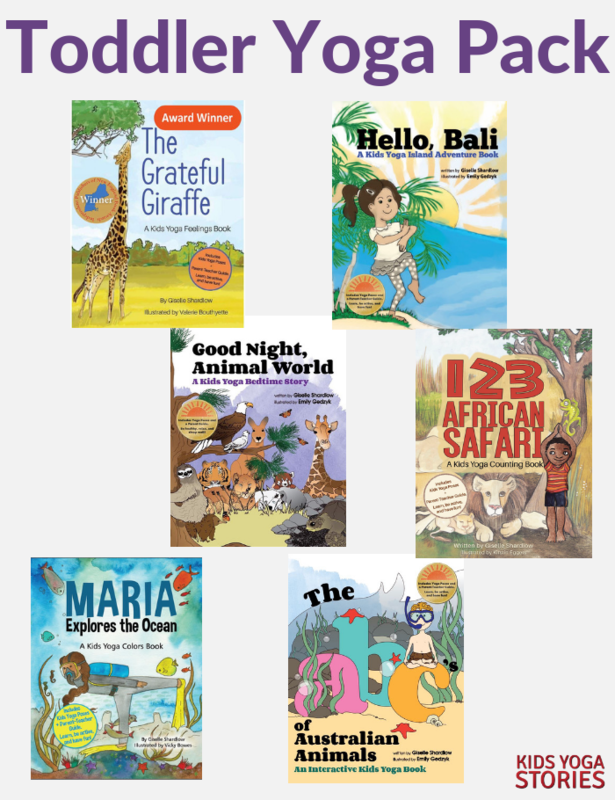 We loved the “That’s Not My…” book series. We bought a few of the animal-related books, along with the matching Schleich animal figurines. The elephant was one of our popular combinations of book/animal figurine. We would stand with our legs apart, clasp our hands together out in front of ourselves, bend at the waist, and sway our trunks. Then we would swing our hands up over our heads while making the sound of the elephant. Again, any time we saw an elephant in a book or at the zoo, we would to do our best elephant pose! 5. 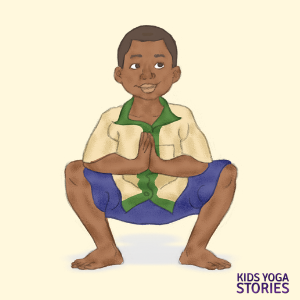 Pretend to be a duck – Practice Squat Pose. When we lived in San Francisco, we loved going to Golden Gate Park to the two duck ponds there. My daughter would point at the ducks, squat down, and flap her wings. Initially, my daughter did the duck pose as a way to communicate, but then she would say “Duckies!” and do her duck pose. 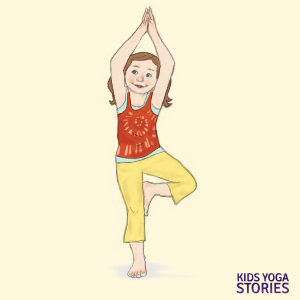 At home, we talked about what we saw at the duck pond (ducks, butterflies, turtles, boats, and trees) and reenact our day through kids yoga poses. When we read stories about ducks, she often would flap her “wings” and point at the ducks on the page. 6. Pretend to be a butterfly – Practice Cobbler’s Pose. Like most little ones, my daughter was entranced by butterflies. We found them in our garden, at the Butterfly Garden in the Conservatory of Flowers, in the rainforest walk in the California Academy of Sciences, or at the park. She would sit down on her bottom, with her legs bent out in front of her, with the soles of her feet together, and flap her legs like the wings. She was determined to have a butterfly land on her hand. Watching my daughter invent and learn new poses was so much fun. She loved it. Introducing yoga to her at such an early age, I believe, has given her the foundational tools that she still uses to this day as a grade schooler. Yoga has become our way of creating a healthy lifestyle for our entire family. It has further enabled us to integrate literature and the environment in a fun, active way and has opened us up to create special moments together. 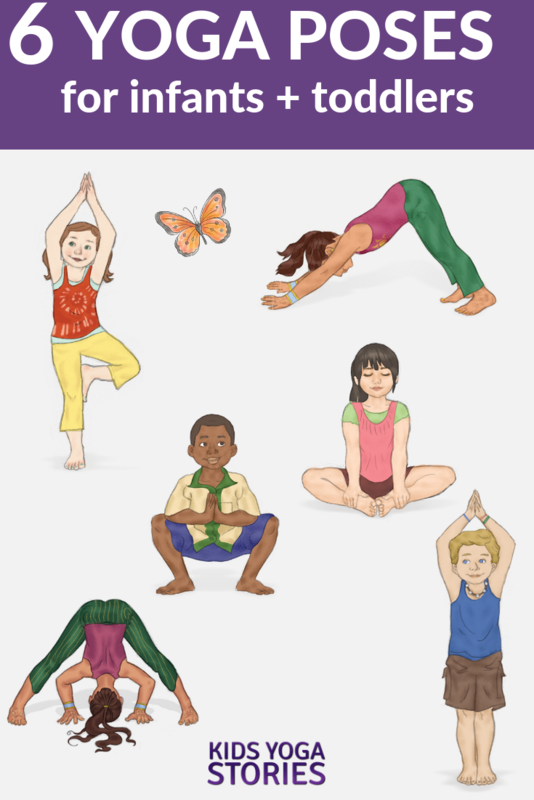 Is there one kids yoga pose above that you could practice with your child today? We would love to hear about your experience!